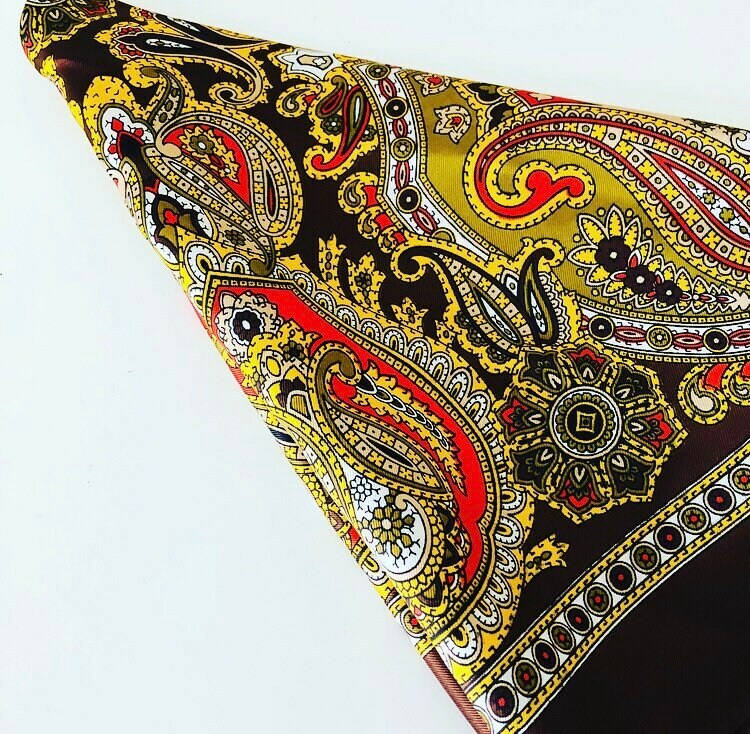 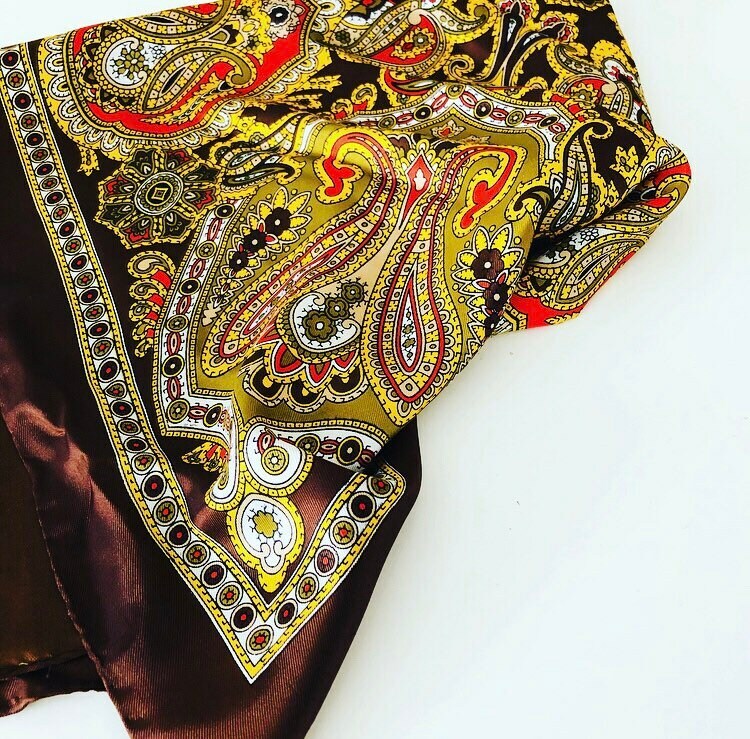 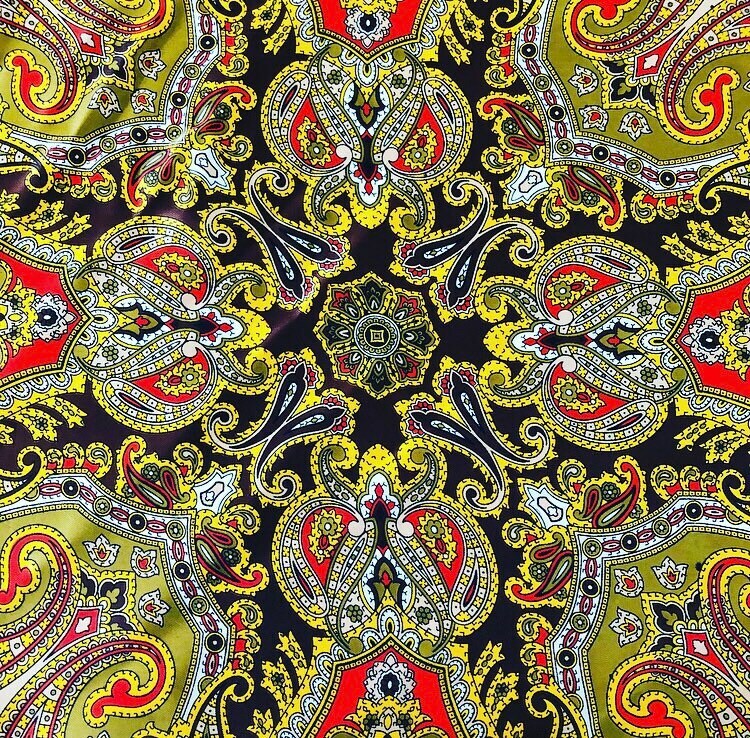 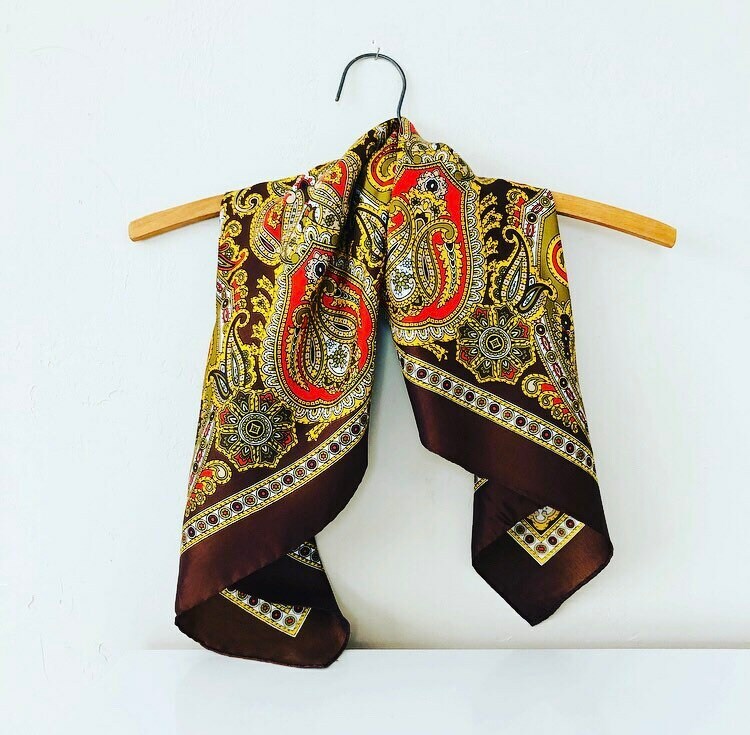 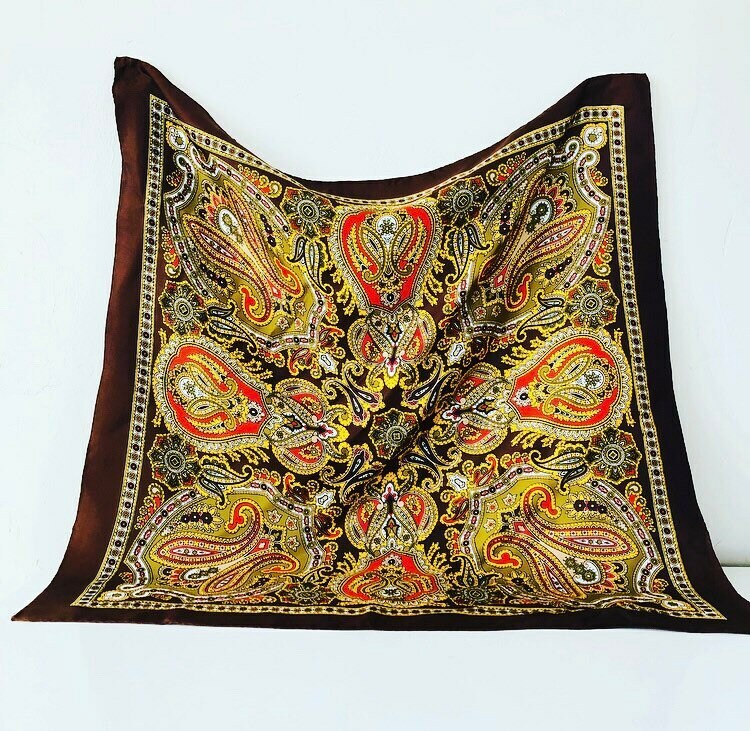 Vintage Italian acetate paisley patterned scarf in brown, orange, beige + muted green hues. 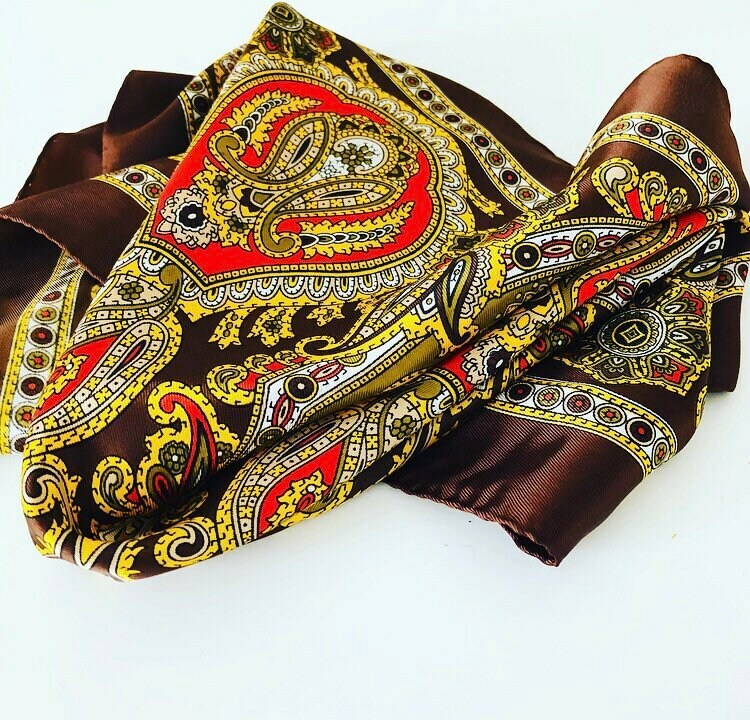 Great as a necktie, head scarf or as an accessory tied to your favorite bag or tote. 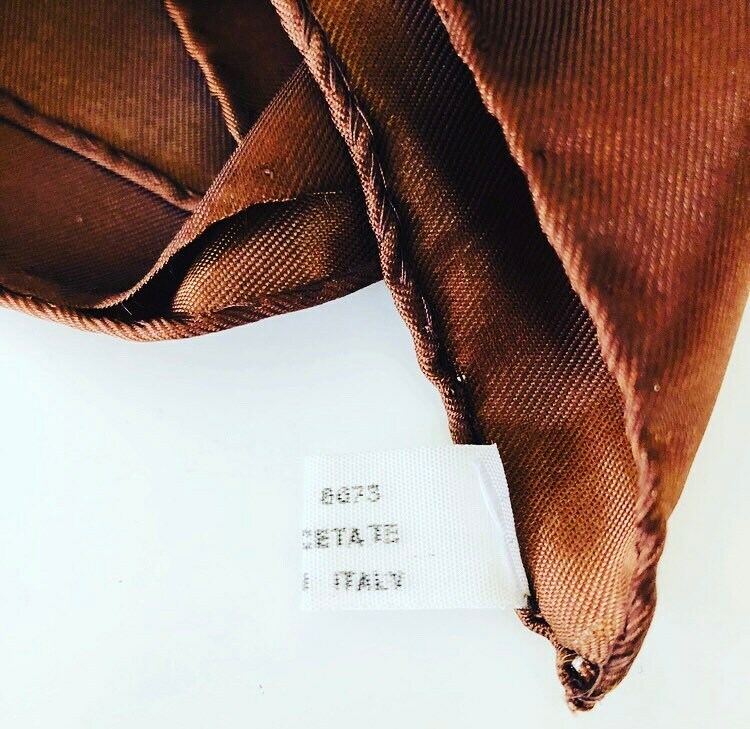 ➕Great vintage condition. 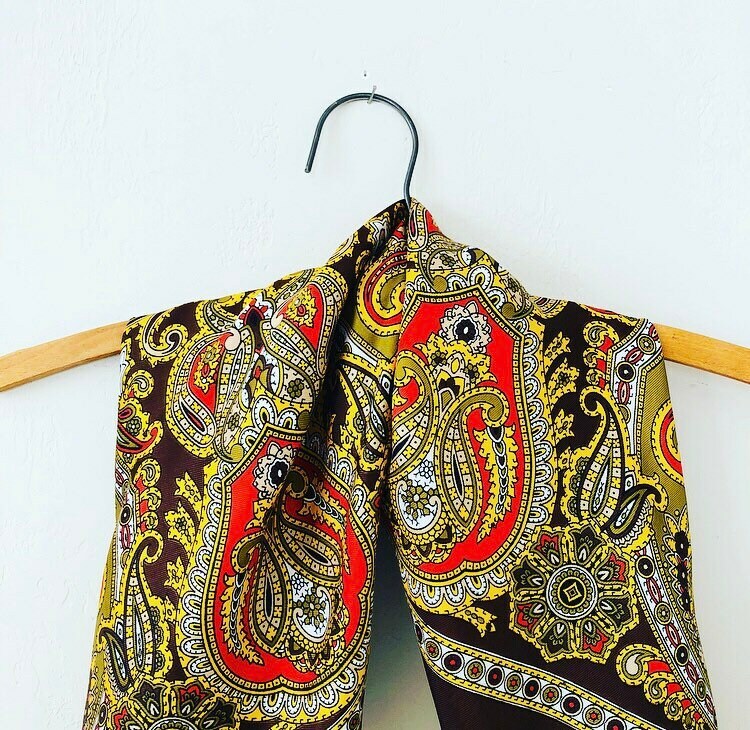 No rips or stains.